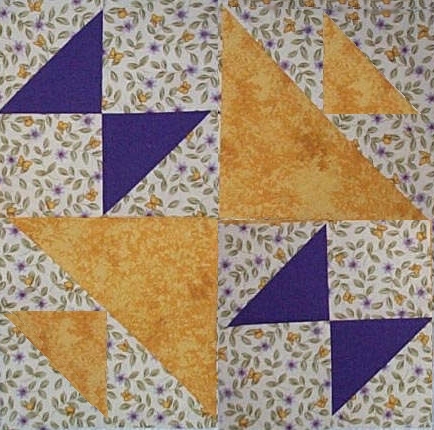 And now piece your block, by sewing a four square unit to a half square unit using the same 1/4 " seams. Make another of these pairs; sew them together....and that's it! ...one "Old Maid's Puzzle"...hot off the presses! here's one that Ruthie made!